Founded in 1985, The Service Warehouse is a national distributor of electrical related installation hardware and supplies. We are factory direct on most lines and feature many major name brand products. Our customers collective buying power, combined with strong relationships with a wide variety of manufacturers, enables us to also repackage and private label some of the finest merchandise available. Our pricing is highly competitive, as it must be to supply the largest organizations in the various industries we serve. Our inventory is extensive, which translates into high-order-fill-ratios for our clientele. If you are interested in becoming a customer, please contact us! We would like very much to talk to you. If you already do business with us, we want you to know we appreciate your loyal support. Our customers enjoy having all possible options available to them for placing their orders. You can either call 800 822-6004, fax 310 329-9428, email, or online order. Our customers each have their own representative, who know them and their individual needs. On minimum orders of only $100.00, we prepay and allow all ground freight charges to the continental United States. For all air shipments, including customers in Alaska, Hawaii, Canada, and abroad, we give a ground freight allowance. We make no charges of any kind except for the material itself. We not only warrant the quality of our products, we go further and warrant complete satisfaction. There can never be a dispute over products obtained from Service Warehouse. We just will not permit that to happen. The few problems that may possibly arise are resolved instantly by your representative who can be reached toll-free. It is our feeling that you will respond favorable to the value of our products, the integrity of our policies, and the services we perform. 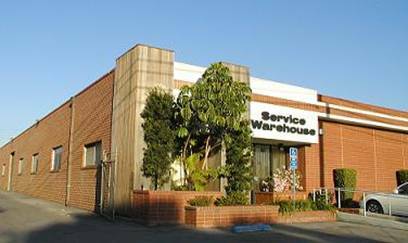 Established in 1985, The Service Warehouse has over 5,000 accounts in North America . Visit our Online Catalog and set up an account today.